Anyone who has found themselves in a sea beyond their expectations has experienced the brutal, beautiful realization of their powerlessness in the face of it. It does not matter the size or severity of the sea so much as the surrender, the moment of horrible bliss wherein you lay to rest your own existence at the trough of the ocean and are followed by rising waves. In these moments, you realize the sea is all-powerful and alchemical, a realization which has bound humanity for as long as we have understood our existence to be at the royal water’s noblesse oblige. 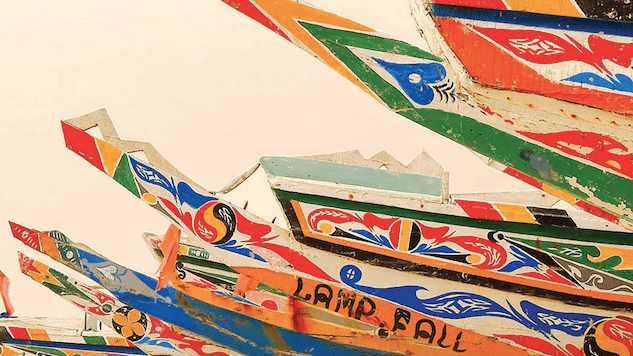 It’s in these elemental moments that society, self and the limits of rational understanding are shattered, and it’s those brilliant little shards with which Anna Badkhen writes Fisherman’s Blues: A West African Community at Sea. A lyrical depiction of the fishers of the Senegalese port of Joal, Badkhen’s book examines a culture wholly contingent on the continued solvency of the sea, cast upon a global stage which hardly knows they exist or cares for their struggles. Overfishing by financially superior Western concerns and climate change are conspiring to drive the artisanal Senegalese fishers off the waters of their ancestors, threatening to moor their beautiful wooden pirogues on the mud forever. A conventional account of life in Joal would be fascinating reading in and of itself—a crucial snapshot of an endangered lifestyle. What Badkhen has written instead is something more like a ghost, an incantation, a life captured in words. In powerful language shaped by the winds and tides, Badkhen not only describes the fishers’ lives but also imbues them with an energy that borders on the uncanny. What Badkhen understands is that exceptional writing—the kind that makes readers weep and fellow writers snap pens in admiring frustration—need not get in the way of truth or reality. In fact, it can enhance them, creating a kind of hyperreality more akin to thought than physical experience. Badkhen’s rhetorical dancing along the shore captures the essence of life on the Atlantic’s edge in a way no normal paragraph could ever hope to achieve; it is reality-as-poem, an eternal elegy for moments that are already dead and a society that will eventually die as well. It is attributable only to Badkhen’s mastery, of course, that Fisherman’s chimerical prose helps, rather than hinders, the book. A lesser master would merely muddy the waters, scattering confused readers in her wake, their National Geographic expectations shocked by writing that would make the most lauded literary novelist pallid. Even now, the sacrifice and surrender necessary to read it—the frightful joy which will whisk a reader along, pulled up as a net—will not be granted to her by all who pick up the book. But Badkhen’s faith is rewarded. By allowing herself to surrender to her beautiful impulses, the journalist who is unafraid of purple prose can create a portrait of reality which is richer, deeper and stranger than all other forms of documentary. Like the fishers’ pirogues, this florid nonfictional work transforms into human messages of reckless vibrancy, proving both unforgettable and idiosyncratic.